Kyle Chalmers is determined to stick to his race build-up. 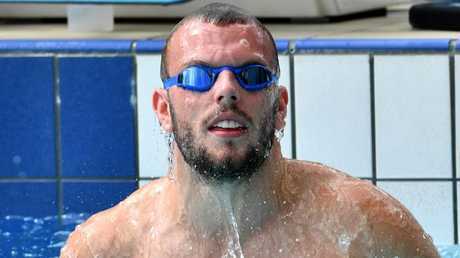 REIGNING Olympic champion Kyle Chalmers has denied he is the "alpha male" of the swim team despite heading into the Commonwealth Games as favourite for the blue riband 100m. Chalmers deflected pressure from himself, saying he was a Commonwealth Games rookie and excited to be racing in a home Games. 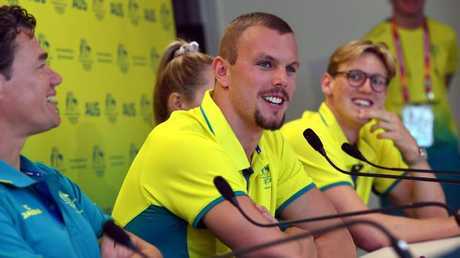 The South Australian's clash against Cameron McEvoy in the 100m is shaping as one of the most anticipated events of the Games but Chalmers is not a fan of the spotlight and said he would not change the relaxed approach that helped him snare gold in Rio. "There's no way I feel like the alpha," Chalmers said. Kyle Chalmers won’t compromise his relaxed preparation. "It seems like every time I make the team I'm a rookie in some way, so I'm just excited to be racing on home soil and have my friends and family come up to watch. "It's going to be good having my grandparents, especially, up in the stands. "They've never been to an international comp to see me swim. So having them up in the stands and being able to see them up I the stands potentially is going to calm then nerves and allow me to swim the best I can." The Commonwealth Games will mark the return to international competition for Chalmers after surgery to correct the heart condition, supraventricular tachycardia, and he said his efforts to win the 100m-200m double at trials had provided a confidence boost ahead of the meet. "Trials gave me a lot of confidence just due to not having that racing experience over the last year," he said. 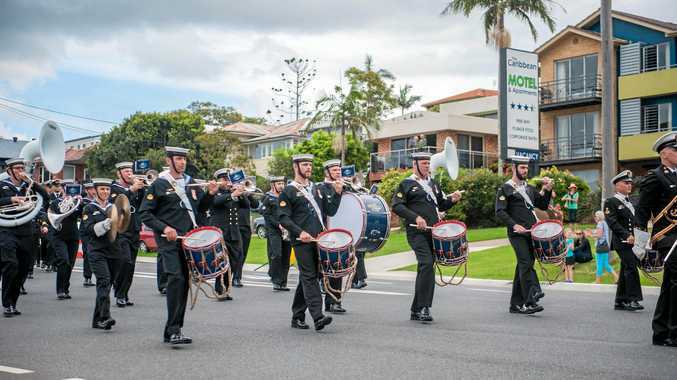 "I raced Queensland states and Victorian states and didn't swim as well as I was expecting. Kyle Chalmers is the big favourite for the 100m freestyle. "Normally it just happens for me. I just roll through states and it goes pretty well. "But to not have that issue was strange and I probably went into trials lacking confidence in a way not knowing where I was at or how I was going to swim. "The 200m was the first race for me (at trials) and to swim well and get a PB really made that meet worth it for me and gave me that confidence going into the 100m." Chalmers said he had "no idea" whether he would have to beat his winning times at trials to win Games gold, admitting he did not follow the sport closely at the international level. "I don't follow swimming really, to be honest with you, so I have no idea," he said. "I have no idea what happened (at the last Commonwealth Games) in Glasgow, I know we got top three, so that was exciting. "But I don't know what people are in the event - I just know that Cam (McEvoy) and Jack (Cartwright) are in there and that's all that matters to me." 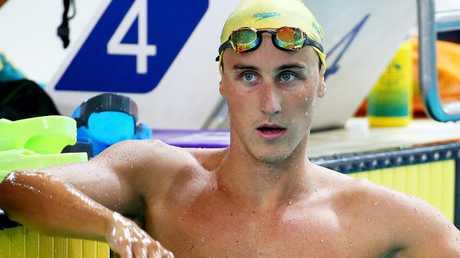 Cameron McEvoy looms as the biggest threat to Kyle Chalmers. Maintaining that personal bubble was more difficult as the Olympic champion but Chalmers said he wanted to stay true to the relaxed approach that had worked so well for him in Rio. "I've got a lot more going on outside of the pool that keeps me occupied, so swimming's just a bit of fun, I guess," he said. "I'm as relaxed as I was in Rio, so we'll see how it goes." 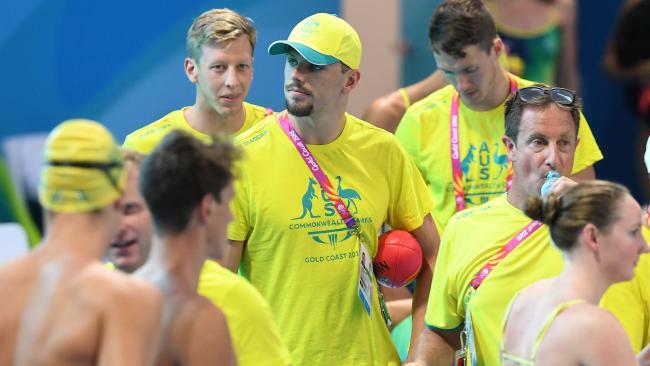 Head coach Jacco Verhaeren - while well aware of the threats Australia faces in the pool from a sport that now has much more of an international flavour than in the past - backed Chalmers' approach. "I do think it's the best process, just stick to yourself and race," Verhaeren said. "It doesn't matter who you race, you have your own lane, your own training plan and if we stick to that we'll be good."